Expect to hear about folks in the Los Angeles area taking stands on the app-based, pay-by-the-mile electric scooters that seem to be scattered about the City of Angels in greater numbers by the day. Tough to tell how many, since scooter brands such as Bird are on a fast track that involves dropping scooters off on street corners, where customers take over, dispersing the two-wheelers without any set route or distribution plan involved. Suffice to say that it’s increasingly common to see riders zipping along on the scooters – or the vehicles themselves standing idle in the public domain, waiting for the next rider to get aboard. Don’t sweat it if you haven’t considered this phenomenon – the market is ready to handle the job even as the public sector does some preliminary work to various effects. 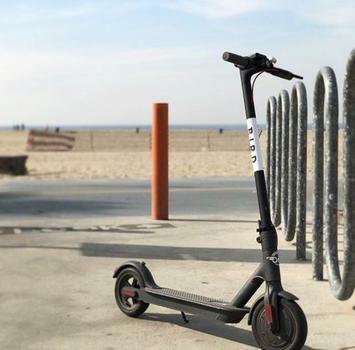 Santa Monica and other municipalities have been pressing the companies behind the scooters to get them properly registered. West Hollywood has moved to ban them, with officials there citing risks they see in the vehicles being left willy-nilly on sidewalks between rides. Still others likely see different reasons to dislike the scooters –some elected officials might have their own reasons to favor established providers of transportation over newcomers in any case. Some disruptors haven’t been around long enough to become big campaign donors, after all. Not all city governments in the Greater L.A. area are against the scooters, though. Some welcome them as a cheap solution to the “last mile” – the fabled link from home to public transit stop. And it’s nearly time, in any case, for the market to take a greater hand in the situation. It’s well equipped to sort out the matter of the scooters without any of the sorts of cruelly sharp edges that can come with unchecked capitalism. What’s the worst-case scenario, anyway? A busted unicorn and life without pay-by-the-mile scooters? Not exactly an existential threat. The question of the scooters and their place in daily life occurred to me on a recent jog along Pico Boulevard in the Mid-City area of Los Angeles I had to stop at a red light at Pico and San Vincente, and a young woman pulled up alongside me on a pay-as-you-go scooter. She wasn’t traversing her last mile. She told me she was headed to the Grove shopping center, and the one-way trip on the scooter would cost her $2.60 – about half the minimum fare for popular ride-sharing services. That level of service at that price is going to win a customer base. A customer base means the lawyers will come – and we then will see if the scooters will have to be redesigned to carry helmets, and whether the helmets will have to be equipped with sanitary spray, and so on. That will mean more expenses for production, not to mention liability insurance. The price of a ride will go up, and we’ll have to see how much the young lady on her way to the Grove is willing to shell out before she opts for a bus or ride-share service. Then will come the unfortunate reality of crime. Folks will figure out ways to game whatever digital wonder keeps the scooters from rolling unless someone’s paying. And someone will figure out there’s some value in the materials or component parts that might – when commodity markets are right – tempt them to drive about tossing the vehicles into the back of pickup trucks for transport to a recycler, salvage yard or smelter. None of this is fun, but it all might serve a good purpose. These scooter outfits deserve a place on our streets if they can deal with the lawyers, manage their risks, overcome the same potential for crime that so many other businesses face and still keep their prices low enough to keep their customers. That’s the market – and the scooters present a fine opportunity to watch it work. Who figured the politically “progressive” bastion of L.A. might be the place where the market could make the call on the latest digital disruption. Jerry Sullivan is the editor of the Los Angeles Business Journal.